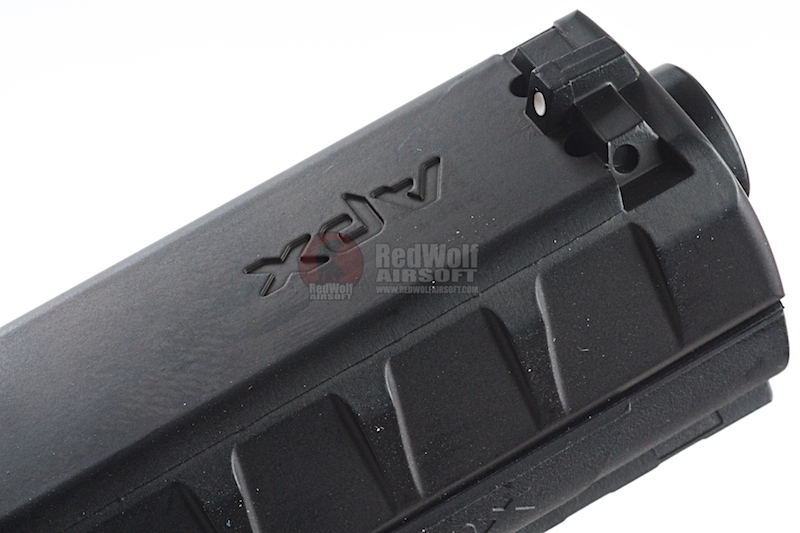 APX pistol was introduced early in 2015 at the IDEX-2015 exhibition. Apparently it is intended to compete for a future service pistol (Modular Handgun System) with US military, which wants to replace its ageing M9 (Beretta 92FS) pistols with more modern, modular and multi-caliber design. 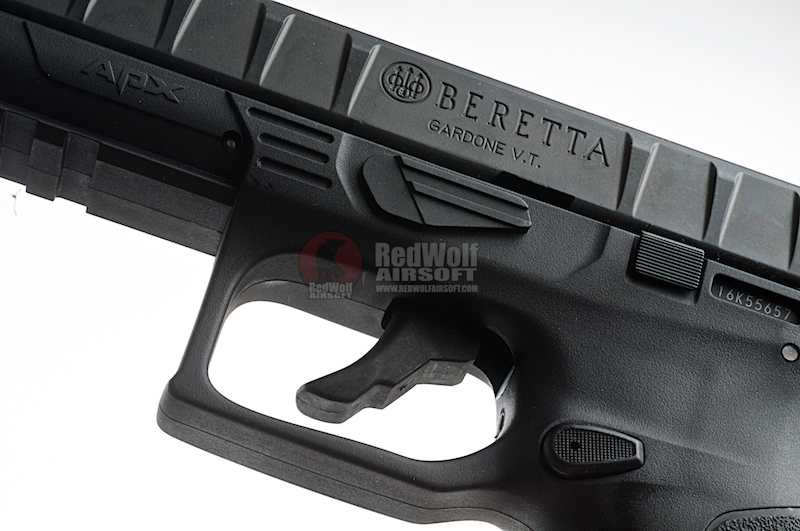 As of moment of this writing (March, 2015) Beretta APX pistol was still in prototype form, and not yet in production. 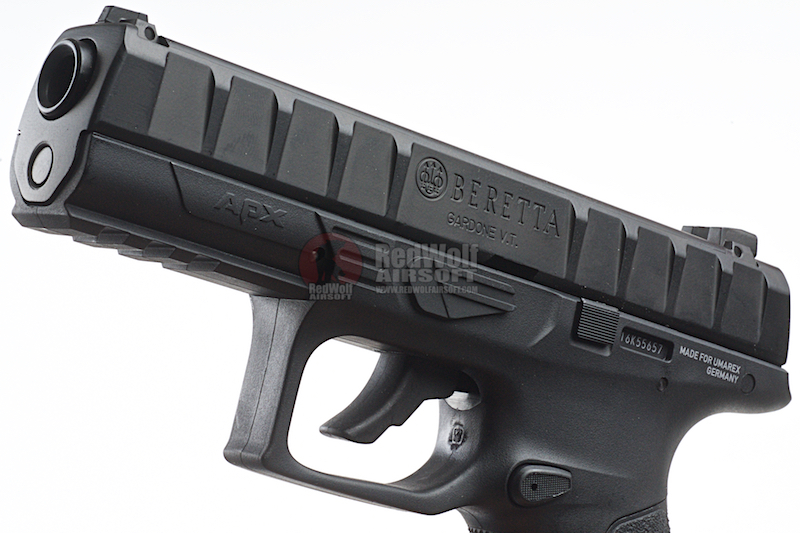 The APX pistol is a modular service-type handgun with polymer frame and removable grip panels available in different sizes. It uses Browning-type short recoil action with tilting barrel, and a striker-fired trigger system. 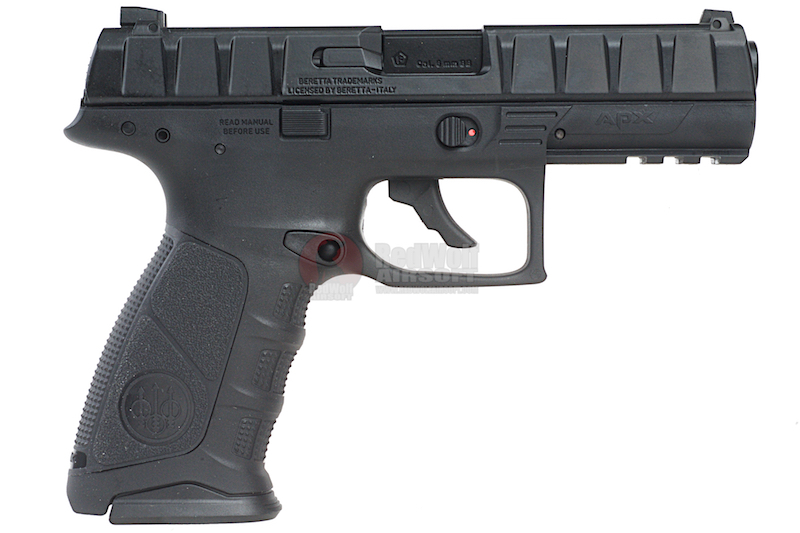 In basic configuration, APX pistol has no manual safeties; automated trigger safety and an ambidextrous manual safety levers are optional. 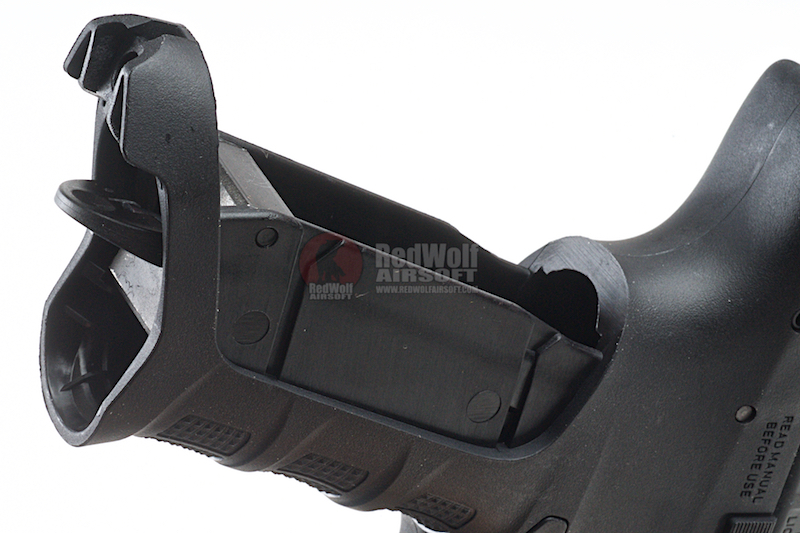 Special firing pin disconnector is provided to safely disassemble the gun without ever touching the trigger. 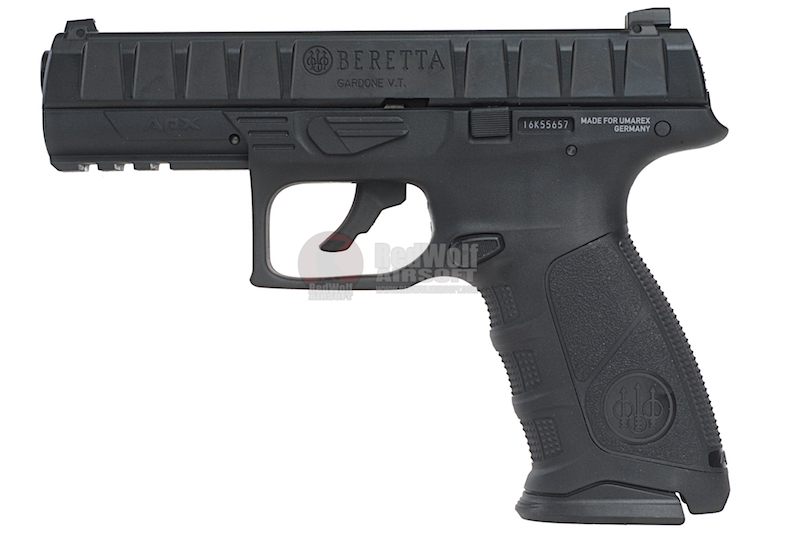 Beretta APX pistol features three-dot fixed sights and a MIL-STD 1913 (Picatinny) accessory rail below the barrel. For those who never heard of Umarex, they are known to make realistic and high performing airsoft guns in the airsoft market. The gas blowback technology is more than just reliable and crisp, the cycle is tighter than a drum with each shot gliding down the same line as the one before.